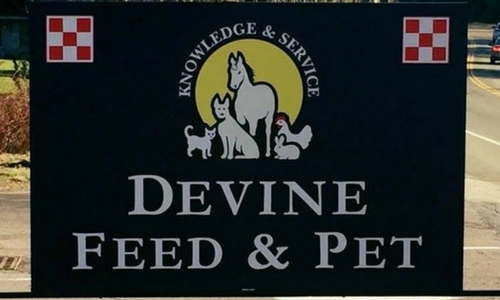 At Devine Feed & Pet our goal is to help you keep all of your animals healthy and happy! Our store offers you a great selection of quality products that are competitively priced along with friendly, knowledgeable staff. We feed them all - big & small! We carry food for just about every animal you may own - from hamsters to horses! While our focus has transitioned to dogs and cats as of late, we still maintain a strong, knowledgeable foundation in equine nutrition. Several of our employees have gone through series’ of training focusing on correct feeding for a lifetime of your horse’s health.